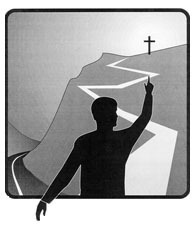 Ex-Masons for Jesus was formed by men who left Freemasonry to follow Jesus Christ. We work with former members of the many Masonic organizations, including Blue Lodge, Scottish Rite, York Rite, Ancient Arabic Order, Nobles of the Mystic Shrine (Shriners), Rainbow Girls, Job's Daughters, DeMolay and Eastern Star to reveal the truth about Freemasonry to the Church. teachings of Freemasonry are false? The Bottom Line How can you help?